JACKSONVILLE, FL. (WVUE) - Interim head coach Tony Benford only has three games under his belt running the Tigers. So having a coach on the floor in sharpshooter Tremont Waters, makes things a little easier for Benford. “The thing with Tremont, guys, is as a coach sometimes you get in your players’ way, and some coaches do that. I think when you have a guy -- the better your players, the less sets you have to run offensively. You’ve got to trust him because he can go make plays. Sometimes he throws the ball somewhere you didn’t want it to go, but he’s going to be aggressive and he’s going to make the right decision the majority of the time, so he makes it a lot easier,” said LSU interim head coach Tony Benford. “Yes, obviously in the huddle Coach Benford and the coaching staff are giving us plays to run and just basically on the fly, either I’ll call the play or Skylar will call a set just based on what we see. 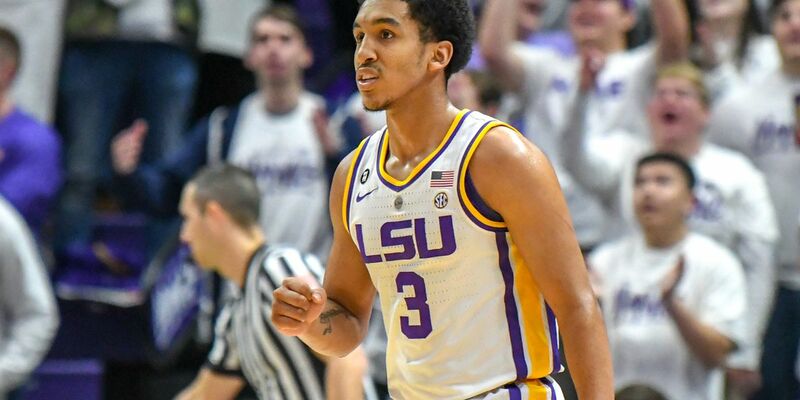 It’s just a read that we make pretty much throughout the game, and if things break down, Coach Benford calls a play,” said LSU guard Tremont Waters. Just like a coach, Waters doesn’t back in success long, he’s moving on to the next game. “I feel like we’re getting a lot closer together, and we’re just going to take it one day at a time, like we’ve been doing. That game is behind us now and we’ve got to move forward to Maryland, and know we have to take it one day at a time, one play at a time and just do what we’ve been doing,” said Waters. This could be the last few weeks for Waters with the program. The sophomore guard is primed to leave school for the NBA Draft this spring.